FOCUS: The firm’s mission is to be an integral partner for its clients by providing sound legal advice and exceptional services while being sensitive to their need for cost-effectiveness, quality control, and risk management. OWNERS/MEMBERS: Marty Stone (CEO and Managing Partner), Carl McGehee, Adam Silver, Wendy Reiss, Richard Leibert, Richard Jacobson, Melody Jones Rickels, Rich Haber, Anthony Risalvato, Jill Rein, Denis Pierce, Geoffrey Milne, Donna “Casey” Case-Rossato, Robyn Katz, Doug Oliver STATES SERVED: Alabama, California, Connecticut, Florida, Georgia, Illinois, Mississippi, Nevada, New Jersey, New York AFFILIATIONS/MEMBERSHIPS: Legal League 100, MBA, Alabama MBA, California MBA, Connecticut MBA, Georgia MBA, Illinois MBA, USFN, ALFN, National Creditors Bar Association, and REO MAC WHAT SETS THEM APART: McCalla Raymer Leibert Pierce, LLC is laser-focused on establishing a positive and diverse working environment, which allows employees to grow and expand their skills. The firm believes a diverse workforce allows for the best solutions to client challenges. The strong emphasis on employees and culture fosters pride in the firm and a desire to provide exceptional customer service to clients. GREATEST ACCOMPLISHMENT: Change can be difficult but is necessary for growth and progress. 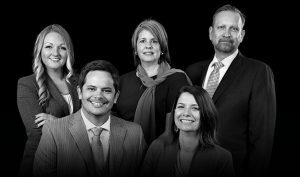 At McCalla Raymer Leibert Pierce, LLC, change is embraced; from working creatively and tirelessly in an industry in flux to combining with another longstanding, respected firm to increase coverage for clients. Their greatest accomplishment is not only keeping up with change but also being a leader of change over the past 34 years and beyond. MOTTO: “Client focused. Results driven. We earn your trust.” AWARDS: Eighteen years as a USFN Diamond Award Winner STANDARD OF SERVICE: McCalla Raymer Leibert Pierce, LLC consistently raises the bar for service level within the industry. They strive to provide exceptional service in a timely manner, while maintaining the integrity of the work product. CHARITABLE INTERESTS: McCalla Raymer Leibert Pierce, LLC is very involved in the communities they serve. The firm and its employees participate in monthly firm-wide charitable events. Employees submit recommendations of charities to support, and the firm selects a charity each month for fundraising. These charities have included organizations that support children and adult health concerns, veteran’s issues, and animal rescue organizations. FINAL THOUGHTS: The firm currently provides, and in the future will provide, best-in-class services for clients, which in partnership contributes to a robust real estate marketplace. FOCUS: The Codilis family of firms serves the needs of mortgage lenders and servicers throughout Illinois, Indiana, Missouri, Texas, and Wisconsin by offering services that cover every stage of the default process, including foreclosure, bankruptcy, real estate, eviction, title, litigation, appellate work, reverse mortgages, and REO. FIRM MEMBERS: Ernest J. Codilis, Jr. (Illinois, Indiana, Missouri, Texas, Wisconsin); Gregory J. Moody (Illinois, Indiana, Missouri, Texas, Wisconsin); Adam E. Codilis (Illinois, Indiana, Missouri, Texas, Wisconsin); Robert H. Rappe, Jr. (Illinois); Berton J. Maley (Illinois); Joseph Circelli (Indiana, Missouri, Wisconsin); Shawn Hillmann (Wisconsin) STATES SERVED: Illinois, Indiana, Missouri, Texas, Wisconsin AFFILIATIONS/MEMBERSHIPS: Legal League 100, American Legal & Financial Network, Mortgage Bankers Association, REOMAC WHAT SETS THEM APART: The firms’ highly motivated, well-trained staff and senior management teams uphold the highest regard to client service, innovation, and compliance. The firms also utilize a robust, internally developed case-management system that offers client-specific reporting and process oversight that reduces timelines and enhances efficiency. CHARITABLE INTERESTS: The firms support Mercy Home for Boys and Girls, the National Multiple Sclerosis Society, and St. Jude Children’s Research Hospital, among others. 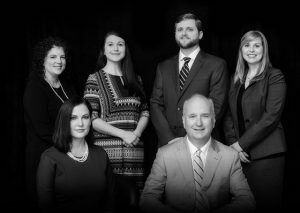 FOCUS: Dean Morris, LLC is a law firm dedicated to providing high-quality, timely, and courteous legal services to the real estate finance industry in the states of Louisiana and Mississippi. The firm specializes in conducting residential default procedures and enforcement of creditors’ rights for mortgage lenders, related bankruptcy proceedings, and related litigation, as well as representation and defense in regulatory and consumer issues. FIRM MEMBERS: John C. Morris III, Candace A. Courteau, Emily Courteau Morris, Jason R. Smith, Ashley E. Morris, Cody Gibson, Candace Miers Bowen, Elizabeth Crowell, Kimberly D. Mackey, John Daniel Stephens, and Kristy Massey Finley STATES SERVED: Louisiana and Mississippi AFFILIATIONS/MEMBERSHIPS: Legal League 100, Mortgage Bankers Association, U.S. Foreclosure Network, ALFN. FOCUS: The firm’s attorneys and professional staff exclusively represent lenders concerning residential and commercial foreclosure, loss mitigation, eviction, loan workout, bankruptcy, collection, mortgage deficiency, and creditors’ rights litigation matters. The firm’s representative clients are national banks, mortgage servicers, and credit unions—specifically including Fannie Mae and Freddie Mac. FIRM MEMBERS: Mary Ann Hess (managing member), Larry Folks, and Lisa Kass. Folks Hess Kass, PLLC is a woman-owned and -managed default services law firm. STATES SERVED: Arizona and Nevada AFFILIATIONS/MEMBERSHIPS: American Bankruptcy Institute, American Mortgage Diversity Council, American Legal and Financial Network, Arizona Trustees Association, State Bar of Arizona, Bankruptcy Section, United Trustees Association, WBENC-certified women’s business enterprise WHAT SETS THEM APART: The attorneys of Folks Hess Kass, PLLC have represented clients on a high-volume basis to successfully complete many thousands of residential and commercial nonjudicial trustees sales, bankruptcy, eviction, and litigation cases. The firm and its highly experienced support staff are well versed in client-required electronic reporting and billing and use advanced case management technology. AWARDS: Best Law Firms U.S. News 2015–2019, The Best Lawyers in America 2015–2019, Super Lawyers 2010–2019, and Top Attorneys in Arizona, Phoenix Magazine, May 2017 STANDARD OF SERVICE: The firm is a woman-owned and -managed law firm committed to diversity and highly responsive professional legal service. FOCUS: Real estate law, default servicing, complex litigation, business law, condominium and HOA law, regulatory and compliance FIRM MEMBERS: Stephen Hladik, Miguel Maza, Steven Horne, Rose Marie Brook, Michelle Garcia Gilbert, David Onorato SERVICES OFFERED: Full-service law firm with a focus on real estate, financial services, regulation, title, and litigation. STATES SERVED: Puerto Rico and nationwide AFFILIATIONS/ MEMBERSHIPS: AFLN, Legal League 100 WHAT SETS THEM APART: HMB Law Group is a firm of firms formed by some of the strongest firms in the industry. We provide the full spectrum of legal services to our clients. GREATEST ACCOMPLISHMENT: Being part of the solution as Puerto Rico recovers. STANDARD OF SERVICE: We provide the same level of service clients find at the largest firms in New York and Washington, D.C. CHARITABLE INTERESTS: Puerto Rican recovery. FINAL THOUGHTS: We work with the largest, most sophisticated clients in the industry. We are privileged to be in a position to handle all of their legal needs. 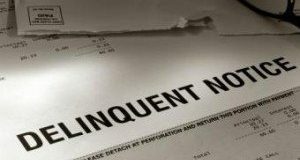 FOCUS: Lynn M. Janeway has provided legal default representation to mortgage servicers for more than 30 years. Janeway Law Firm, P.C., a woman-owned firm, was founded in 2004. The firm joined the LOGS Network in 2013. Its services include residential foreclosure, bankruptcy, eviction, title curative, deed in lieu, loss mitigation, REO closings, and ancillary litigation impacting the mortgage servicers in state and federal courts. 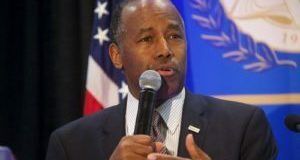 The firm represents default servicers, mortgage lenders, credit unions, and banks in connection with their government-sponsored entity, Federal Housing Administration, Veterans Affairs, and conventional portfolios. FIRM MEMBERS: The firm’s leadership team includes Lynn M. Janeway, Managing Attorney/Majority Shareholder, and Marta Wilbert, Director of Operations. STATES SERVED: Colorado AFFILIATIONS/MEMBERSHIPS: American Bankruptcy Institute, American Land Title Association, Mortgage Bankers Association, American Legal & Financial Network, State Bar Association WHAT SETS THEM APART: A core value of Janeway Law Firm is that volume-based efficiencies are in addition to—not at the expense of—excellent client service. 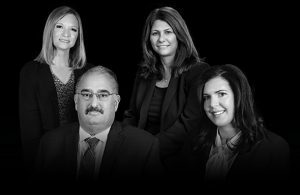 WHAT SETS THEM APART: Marinosci Law Group, P.C. offers foreclosure, bankruptcy, deeds in lieu, eviction, litigation, and REO representation to clients. 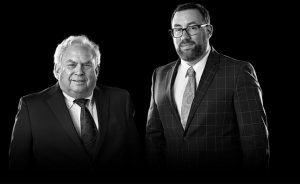 The firm has distinguished itself by consistently providing competent advice and effective legal representation to its clients without the high fees and impersonal service generally associated with larger firms. Marinosci Law Group always provides cost-effective, cradle-to-grave default and eviction services to its clients. STATES SERVED: Arkansas, Connecticut, Delaware, Florida, Illinois, Indiana, Kansas, Massachusetts, Mississippi, Missouri, New Hampshire, Oklahoma, Rhode Island, Tennessee, Texas, Wisconsin MOTTO: Performance driven, compliance focused. Laura Conrad, Esq. ; Timothy D. Padgett, Esq. ; Robyn Padgett; Evan Singer, Esq. 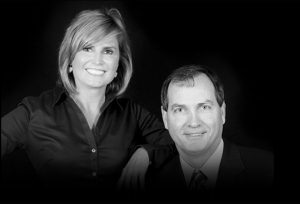 FOCUS: Padgett Law Group (PLG) is an elite, full-service creditors rights’ law firm practicing in Florida, Georgia, Arkansas, Tennessee, and Texas. PLG offers exclusive representation to institutional clients such as lenders, mortgage servicers, credit unions, banks, hedge funds, investors, and other financial services industry stakeholders. Leveraging technology in its partnerships with forward-thinking clients gives PLG the ability to focus on the aggressive management and processing of delinquent or under-performing loans, providing clients with an edge when curing or resolving complex legal matters. SERVICES OFFERED: Foreclosure, bankruptcy, litigation, evictions, title, title curative, REO STATES SERVED: Florida, Georgia, Tennessee, Arkansas, Texas AFFILIATIONS/MEMBERSHIPS: Legal League 100, ALFN, MBA. 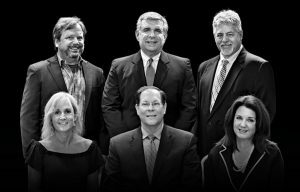 FOCUS: Randall S. Miller & Associates (RSM&A) specializes in the representation of the mortgage banking industry and maintains cradle-to-grave operations in six states. The firm’s industry-leading timelines are achieved through efficiency, technology, determination, and old-fashioned hard work. With the resources of a large firm and the nimbleness of a small firm, RSM&A has been able to stay a step ahead of all compliance and regulatory issues. RSM&A employees pride themselves on customer service and close client relationships forged over 15 years in the industry. Services include foreclosure, eviction, bankruptcy, REO/escrow, title, litigation, loss mitigation, and direct-source vendor management. The firm specializes in customer service, technology, regulatory compliance, and timeline management. STATES SERVED: Michigan, Colorado, Illinois, Minnesota, Wisconsin, Wyoming AFFILIATIONS/MEMBERSHIPS: Legal League 100, American Mortgage Diversity Council, Mortgage Bankers Association, American Legal & Financial Network, and REOMAC WHAT SETS THEM APART: The firm treats every client, file, and borrower like they are important. Back Row: Lucio Padron; Sarah K. McCaffery, Esq. ; Bradley J. Osborne, Esq. Front Row: Patricia Miller; Richard M. Squire, Esq. ; Jennie Shnayder, Esq. 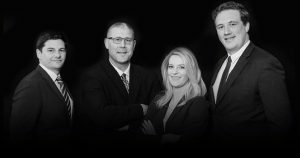 FOCUS: Richard M. Squire Associates, LLC is a Small Business Certified one-stop, end-to-end creditors’ rights and foreclosure law firm handling matters in all 67 counties in Pennsylvania, as well as all three bankruptcy districts. The firm also handles foreclosure, bankruptcy, evictions, and REO closings in the entire state of New Jersey. No issue is too tough for its Title Resolution Department. The firm prides itself on client-centered problem solving and recognizes that every client is entitled to be treated as if it is the firm’s only client. WHAT SETS THEM APART: The firm protects its clients’ interests all day every day while processing residential and commercial foreclosures, as well as mobile home foreclosures and repossession actions—all while adhering to Fannie Mae timelines and fee schedule. The firm’s staff has been trained on CFPB Regulations and understands the necessity to meet all compliance requirements. Its referral-to-sale timelines average better than 50 percent of Fannie Mae’s allowed time—after holds and without cutting corners. The firm understands that to its clients time is money! MOTTO: Smaller than some but second to none. AWARDS: AV Preeminent rated by Martindale-Hubbell. WHAT SETS THEM APART: Rosicki, Rosicki & Associates, P.C. has three offices throughout the state, which ensures seamless processing and personal coverage throughout the state. The firm’s attorneys have developed robust relationships in every county and strongly advocate for their clients. The firm takes a cutting-edge approach to its day-to-day operations, which is reflected by its innovative in-house technology team. The firm employs over 32 percent of individuals with disabilities and believes in providing opportunities for all people. 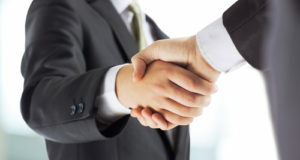 The firm offers services in all areas of default/creditors’ rights law, including but not limited to: foreclosure, litigation, bankruptcy, evictions, closings (originations/REO), reverse mortgages, title, co-op/condo, senior lien monitoring, loan modifications, repayment plans, auto loans, commercial, manufactured housing, replevins, tax liens, collections, and nationwide bankruptcy services/ECF filing. STATES SERVED: New York AFFILIATIONS/MEMBERSHIPS: Legal League 100, USFN, American Legal & Financial Network, Mortgage Bankers Association, National Association of Chapter 13 Trustees, REOMAC AWARDS: The firm has received over 100 legal and community-based awards, including Top Legal Eagle Award, USFN Diamond Excellence Award, New York State and National Disability Employment Awards, White House Champions of Change Award, New York State Attorney General Appreciation Award, and the ALFN Service Award. CHARITABLE INTERESTS: Firm staff members are extremely active in numerous local and national charitable organizations, including AHRC, Girl Scouts, Erase Racism, Habitat for Humanity, Adopt A Soldier Platoon, Inc., Helen Keller Services for the Blind, Autism Speaks, Leukemia & Lymphoma Society, March of Dimes, and Susan G. Komen. 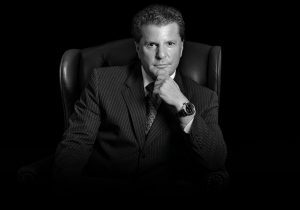 FOCUS: Rubin Lublin, LLC boasts exceptionally strong departments across the board, including foreclosure, bankruptcy, eviction, mobile home, title curative, complex real estate and title litigation, and REO closings. STATES SERVED: Georgia, Tennessee, Mississippi, Alabama WHAT SETS THEM APART: At Rubin Lublin, processes are designed to protect clients’ interests while reducing exposure to liability. 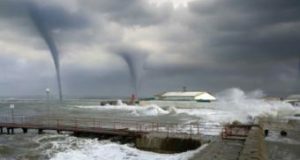 In today’s compliance-driven climate, Rubin Lublin’s attorneys review files at every critical stage throughout the default process. As a result, the firm catches and resolves more issues than its competition. Principals Glen Rubin and Peter Lublin are AV rated and have each been practicing creditors’ rights law for more than 20 years. They are supported by 26 other attorneys and a staff of approximately 90. HONORS: Rubin is a past chairman of the Legal League 100 Advisory Board, and Lublin is past chairman of the State Bar of Georgia, Real Estate Section. 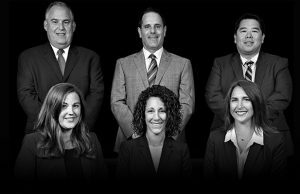 FOCUS: The focus of Schiller, Knapp, Lefkowitz & Hertzel, LLP (SKLH) is to protect their clients’ interests while providing solutions to their complex problems. PARTNERS: William B. Schiller, Esq., Paul B. Knapp, Esq., Gary A. Lefkowitz, Esq., Ryan E. Hertzel, Esq., Daniel N. Young, Esq., Anna Z. Spacone, Esq., Lisa Milas, Esq., Martin A. Mooney, Esq. STATES SERVED: New Jersey, New York, Vermont AFFILIATIONS/MEMBERSHIPS: Legal League 100, Mortgage Bankers Association, New York State Bar Association, American Legal Financial Network, National Association of Chapter 13 Trustees, National Creditors Bar Association, New York Mortgage Bankers Association, Mortgage Bankers Association of New Jersey. WHAT SETS THEM APART: SKLH’S team culture combined with their passion to consistently exceed client expectations is what sets them apart from other firms; it’s also what anchors the firm in today’s challenging legal landscape and what will sustain them going forward. CHARITABLE INTERESTS: Wings Flights of Hope, Big Brothers Big Sisters of Erie County, the Pursue Your It Project. FOCUS: For more than 30 years, Schneiderman & Sherman, P.C. has processed foreclosures, loss mitigation, bankruptcies, evictions, default litigation, title resolution, and REO transactions throughout Michigan. PARTNERS: Peter Schneiderman, Neil Sherman STATES SERVED: Michigan AFFILIATIONS/MEMBERSHIPS: Legal League 100, American Legal and Financial Network, American Association of Attorney-Certified Public Accountants, American Bankruptcy Institute, Michigan Mortgage Lenders Association, Mortgage Bankers Association, State Bar of Michigan WHAT SETS THEM APART: At Schneiderman & Sherman, attorneys and staff are proud of their history serving the mortgage industry. The firm prides itself on client communication, work product, and the ability to adapt to clients’ ever-changing needs. The experienced staff is always accessible, responsive, and attentive to detail. With a current focus on loss mitigation, Schneiderman & Sherman provides clients with access to the most creative, cost-effective solutions for their various legal issues. The firm’s staff strives to address clients’ needs and meet their expectations efficiently and effectively, and it does so with integrity, insight, and innovation. AWARDS: Neil Sherman named to Crain’s Detroit Business “40 under 40” in 2010, HousingWire’s 2014 Rising Stars, DBusiness Magazine’s 30 in their 30s in 2014. MISSION/FOCUS: Shapiro & Ingle, LLP, focuses on providing exceptional client service to the default servicing industry. The firm, operates statewide in North Carolina, Alabama, and Tennessee, providing foreclosure, title, eviction, REO closing, and settlement services for mortgage lenders and servicers. 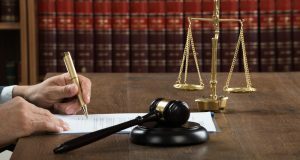 The firm also handles bankruptcy representation and most default-related litigation, as well as mobile home title resolution. PARTNERS: Gerald Shapiro, David Kreisman, and Grady Ingle, Managing Partners AFFILIATIONS/MEMBERSHIPS: Legal League 100, Mortgage Bankers Association, Mortgage Bankers of the Carolinas, North Carolina Bankers Association, American Legal & Financial Network, REOMAC GREATEST ACCOMPLISHMENT: Serving the mortgage banking industry in North Carolina with distinction since 1989. 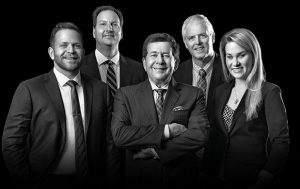 WHAT SETS THEM APART: For a quarter of a century, the firm has never lost focus on what is important: employing the right people, providing excellent client service, and performing with integrity and efficiency. FOCUS: To provide the mortgage industry with efficient, quality legal representation. FIRM MEMBERS: Adam Diaz (Litigation Partner), Roy A. Diaz (Shareholder) SERVICES OFFERED: For more than 25 years, SHD has provided legal services to the mortgage banking industry on a statewide basis. Services include mortgage foreclosure, litigation, bankruptcy, eviction, and REO services. STATES SERVED: Florida AFFILIATIONS/MEMBERSHIPS: Martindale-Hubbell AV-Rated, Legal League 100, Mortgage Bankers Association, American Bar Association, USFN, ALFN, American Bankruptcy Institute, and The Florida Bar Association WHAT SETS THEM APART: SHD is proud to be a leader in establishing Florida case law supporting the mortgage servicing industry. 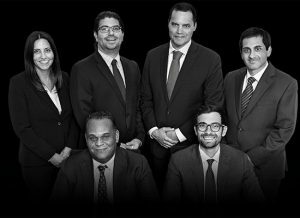 GREATEST ACCOMPLISHMENT: Roy Diaz is proud to currently serve as Chair of Legal League 100. AWARDS: The Fund’s President Circle, 2018 USFN Diamond Award of Excellence STANDARD OF SERVICE: The firm maintains the highest legal standards and provides clients complete and thorough legal representation. CHARITABLE INTERESTS: Special Olympics, Toys for Tots. Andrew J. Marley, Esq. ; M. Troy Freedman, Esq. ; Jessica N. Manis, Esq. ; and Edward J. McKee, Esq. 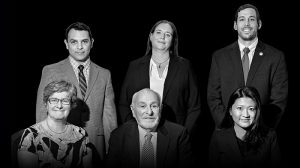 FOCUS: Stern & Eisenberg, PC, founded in 1976, provides its clients with reliable and reputable legal representation in a variety of legal service areas, including cradle-to-grave default services. PARTNER: Steve Eisenberg STATES SERVED: New York, New Jersey, Pennsylvania, Delaware, Maryland, Virginia, West Virginia, North Carolina, South Carolina, Georgia, Tennessee, Alabama, and the District of Columbia. 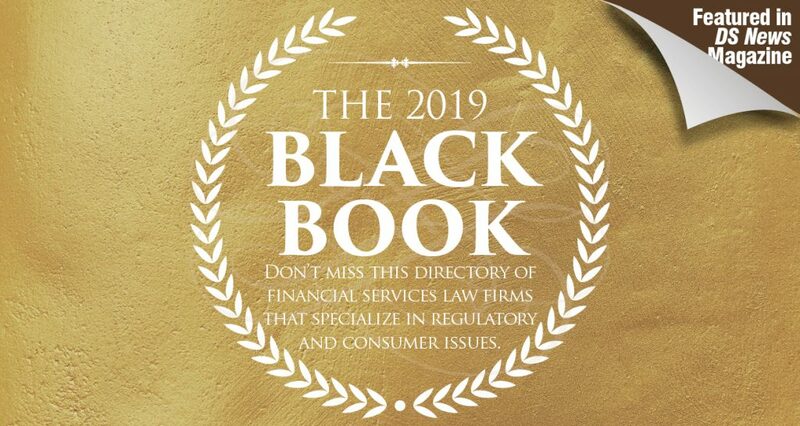 AFFILIATIONS/MEMBERSHIPS: Legal League 100, American Legal and Financial Network, Mortgage Bankers Association, National Association of Chapter 13 Trustees, and U.S. REO Partners AWARDS: Stern & Eisenberg was named “Best Creditors’ Rights Law Firm in Pennsylvania” by Corporate America News. Jacqueline McNally, Esq. and Margaret Cascino, Esq. were honored as Junior Professionals & Executive Group “JPEG” award recipients. HONORS: Richard F. Stern, Esq., was recognized by the Montgomery County, Philadelphia County, and Pennsylvania Bar Associations for more than 50 years of practice. Stern was also recognized by Martindale Hubbell for being AV rated (the highest rating) for more than 25 years. In 2018, Evan Barenbaum, Esq., was recognized by SuperLawyers as a “top rated business litigation attorney in Warrington, Pennsylvania,” where Stern & Eisenberg is headquartered. CHARITABLE INTERESTS: Make a Wish, Kids-N-Hope Foundation, Junior Achievement Golf, Bucks County Fire Police Association, and Fireman’s Association FINAL THOUGHTS: The team at Stern & Eisenberg is dedicated to the application of the firm’s extensive industry knowledge across a multistate footprint toward optimal outcomes. FIRM MEMBERS: John Anthony Van Ness SERVICES OFFERED: Foreclosure and related litigation, bankruptcy (creditor side), evictions, REO closings STATES SERVED: Florida AFFILIATIONS/MEMBERSHIPS: Legal League 100, Broward County Bar Association, Florida Bar, TJ Reddick Bar Association, Boys & Girls Clubs of Broward County WHAT SETS THEM APART: Van Ness Attorneys has its roots on the servicing side first, as both the CEO and CFO worked for major servicers at the start of their careers. The same way most chefs learn how to eat before learning to cook, Van Ness Attorneys understands the client has his or her own needs beyond case status and legal opinions. The staff is trained to look past simple directives and identify related issues that extend beyond the firm’s immediate role. Van Ness Attorneys is also one of the more experienced default firms in Florida, having opened its doors in 2004 with a practice focused on mortgage default. 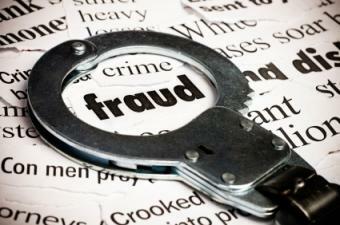 The firm was Fannie Mae retained counsel until the direct program ended. The firm is fiscally sound, with no debt, and is also a certified minority-owned firm. The firm is multi-lingual and always looking for new challenges. 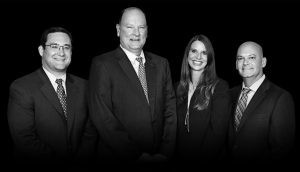 GREATEST ACCOMPLISHMENT: Van Ness Attorneys’ greatest accomplishment was successfully navigating the last 10 years of volatility and being at its strongest now. The firm saw many of its old clients disappear from the landscape for different reasons, followed by large volumes of work from failing firms and coupled with intense scrutiny and litigation on the heels of national servicing-related issues and lawsuits. AWARDS: Best Performing Firm (nationally) CHARITABLE INTERESTS: Boys & Girls Clubs of Broward County PROFESSIONAL ADVICE: Do things the right way from the beginning and you never have anything to worry about. That applies to all aspects of life. FINAL THOUGHTS: The firm works in a truly noble industry that has been through some tough times during the past decade. 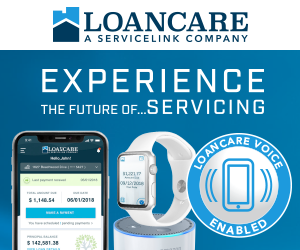 It is imperative that all segments of the industry work together to find the best path forward to handle cases and resolve loan delinquencies. It is amazing how many times something could have been done easier, faster, and less expensive if only there was better communication. Although servicing industry practices and technology have changed, communication does not need to. MISSION/FOCUS: To provide outstanding service and help our clients avoid problems that might arise in the course of legal representation. SHAREHOLDER: Brad Hutchins STATES SERVED: Georgia, Florida, Tennessee AFFILIATIONS/MEMBERSHIPS: Legal League 100, American Legal & Financial Network, Mortgage Bankers Association, American Land Title Association, Georgia Mortgage Bankers Association, and others WHAT SETS THEM APART: Commitment to the client. Weissman understands the importance of being a trusted legal partner and works to help its clients achieve their goals by delivering innovative legal solutions. 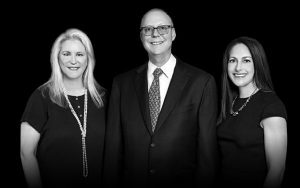 CHARITABLE INTERESTS: Special Olympics, Habitat for Humanity, and HomeAid FINAL THOUGHTS: Weissman takes pride in representing its clients and resolving complex legal issues. Their lawyers are dedicated to helping lenders and servicers navigate the complex and often-changing legal environment. 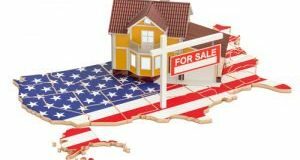 Next: The Right Path for FHA?